Printed Barcode Labels - Self Adhesive - Available in a range of sizes. Self adhesive printed barcode labels available in 4 sizes namely 30x15mm, 30x20mm, 50x25mm and 50x35mm. Printed using a professional barcode printer which uses thermal printing to produce a high quality barcode image. This system produces a long lasting professional image. Please note that the same barcode number will be printed on each label. Self adhesive printed barcode labels available in 4 sizes – 30x15mm, 30x20mm, 50x25mm and 50x35mm. 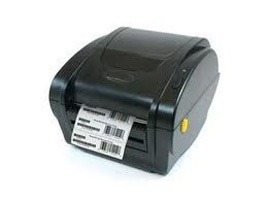 Printed using a professional barcode printer which uses thermal printing to produce a high quality barcode image. This system produces a long lasting professional image. We use a semi permanent adhesive on all of our Printed Barcode Labels. Our minimum print run is only 50 labels, however there is no maximum quantity. If you require more than 10000 as offered on this product listing please contact us. Printed Barcode Labels are sent via Royal Mail. Orders are normally dispatched within 1 working day. Please note that shipping is free – so the price you see is the price that you pay. Please note that the same barcode number will be printed on each label. If you need a barcode Number – we sell them to – please click here. If you require a different size label to those on offer, please let us know. There will be a minimum order amount for custom sizes though. Please contact us for details.